Very few inexpensive, sporty compact cars have managed to turn as many heads in recent years as the Kia Soul. This uniquely designed vehicle was built with the driver and passengers’ comfort in mind. 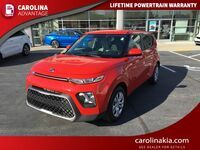 Over the years it has continued to evolve into one of the most popular vehicles in the Kia lineup, and its numerous awards speak to its immense popularity with drivers. 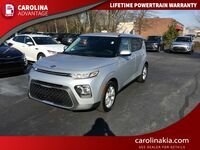 The 2016 Kia Soul in Kernersville NC continues this award winning tradition by providing drivers with a spacious, fun to drive, and technologically advanced car. 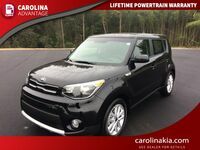 With the 2016 Kia Soul in Kernersville NC, it all starts with the exterior of the vehicle. The sculpted, box-like shape isn’t just for looks. The design actually helps the vehicle be more aerodynamic while maximizing the interior space for passengers. 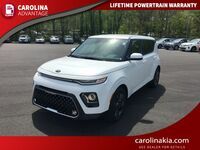 The outside of the Kia Soul actually has several great options for customers to choose from as well, including HID projector beam headlights, heated outside mirrors, automatic lights, LED positioning lights and three different wheel sizes. One of the most popular infotainment systems available in any vehicle today is Kia’s UVO eServices. The system allows drivers to stay connected to the world around them while safely operating the vehicle, thanks to voice-command and steering wheel mounted controls. UVO allows drivers to stream music, make phone calls, access apps, and much more. While the standard 6 speaker audio system in the 2016 Kia Soul is satisfactory, those looking for a more premium listening experience will be quick to add the optional Infinity audio system. This system will add a center speaker, subwoofer, and external amplifier to your Soul to provide you with one outstanding listening experience. In an effort to make its vehicles safer, Kia has been adding several driver assist technologies to its vehicles. 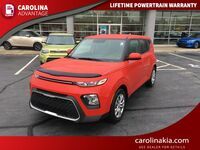 For 2016, the Kia Soul adds a forward collision warning system, which utilizes a sensor at the front of the vehicle to detect when you are approaching another car too quickly and will alert you when a collision is imminent. As we said before, the inside of the 2016 Kia Soul in Kernersville NC is extremely spacious. In fact, the vehicle offers one of the largest interiors of any vehicle in the compact car segment. This is actually thanks to the shape of the vehicle, which allows for substantial headroom and shoulder room. The shape also allows for an extensive amount of cargo space. Behind the rear seats, up to 24.2 cubic feet of cargo volume is available. With the seats down, the vehicle has a maximum cargo capacity of 61.3 cubic feet. There are also several great comfort features that customers can choose from in the 2016 Kia Soul. A 10-way power adjustable driver’s seat is available, with lumbar support, as is heated front and rear seats. Cloth, leather, and Nappa leather seat trims are available, and automatic climate control can be equipped so that each person has their optimal temperature setting at all times. 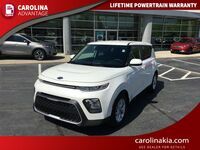 If you are interested in learning more about the 2016 Kia Soul in Kernersville NC, please contact a Carolina Kia sales professional today.